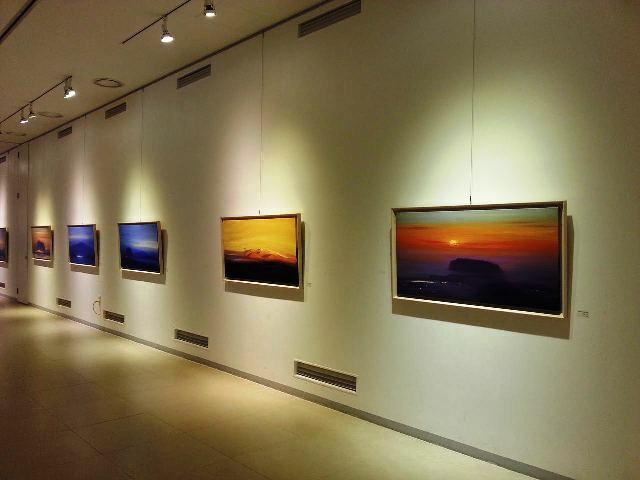 Landscapes of the Heart is an exhibition at Jeju World Natural Heritage Center and it will run until Aug. 28. There is a map at the bottom of this article. It has been ten years since Jeju Island was designated as a UNESCO World Natural Heritage site in 2007. 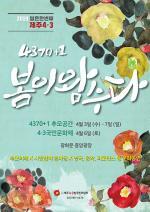 In commemoration, the Jeju provincial government has invited Chae Ki-seon, an artist famous for his paintings of Mt. Hallasan, to hold a special exhibition centered on the very jewels that earned Jeju its status: Mt. Hallasan and Seongsan Ilchulbong (Sunrise Peak). Artist Chae Ki-seon is a Jeju native and Mt. Hallasan and Seongsan Ilchulbong form an inseparable part of his memories of home. In his early days as an artist living on Jeju, he would paint realistic representations of the two landmarks. 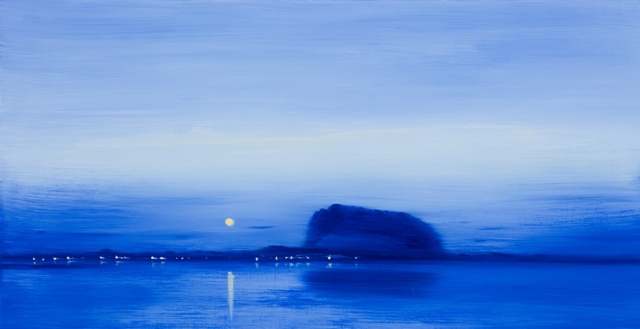 However, he left his island home ten years ago and now only paints these sceneries based on how he remembers them. This causes his landscapes, full of beauty and mystery, to appear on the canvas as the shimmering, surreal images found in the artist’s memories and dreams. One feature of Choi Ki-seon’s work is that he will paint many versions of the same painting. 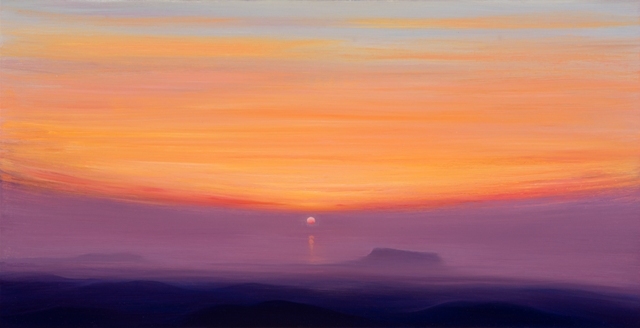 For example, in some versions of his painting “Ilchulbong Morning,” Seongsan Ilchulbong stands cloaked in a splendid glow of red, orange, and yellow. In others, it lies shrouded in mist at daybreak, as the softly glowing village at its foot sleeps. Mt. Hallasan, on the other hand, is portrayed in his paintings from various angles, from near or far, or from different parts of the island. In his painting, “Baeknokdam” (Named after the crater at the top of the Mt. Hallasan), the mountain's summit is covered in snow, and seemingly located in the middle of a blue mysterious unknown. One painting shows golden light from the morning sun shining across the top of the mountain, causing the surrounding oreums to appear as a small path in the shadows that winds its way to the mountain. Another shows the mountain as a dark silhouette standing guard over the sea and the coastal village at dawn. 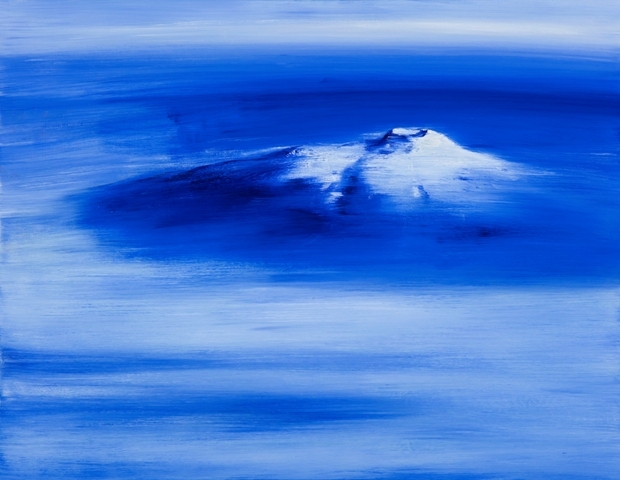 A third painting shows the mountain to be a shadow beyond the blurred, distinct figure of Mt. Sanbangsan. These paintings are different versions of the painting “Mt. Hallasan” and “Mt. 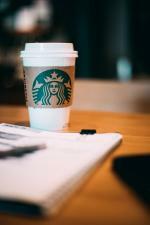 Hallasan Morning”. Most of Chae’s work depicts either sunrises or mornings. Morning usually symbolizes hope, which is what the artist wants to express through his art, along with happiness. Mt. Hallasan and Seongsan Ilchulbong have always been dear memories to him and in translating them into a dream-like form, he creates a deeper world of spiritual existence that resonates with peace and bliss. In a relatively simple-looking painting titled “Dream," Mt. Hallasan stands in the distance, veiled in fog, behind an expanse of deep blue sea. The surprising thing about this particular work is that if you look at the painting as you walk past it, you will notice that light dances across the water as if the ocean were really rippling before your eyes. The effect of the lighting on the paint creates a feeling of brightness and joy. As if what lies beyond the water, where Mt Hallasan is, is a Shangri-la, an earthly paradise. Upon inquiry, Chae expressed that it took a long time to create that effect, having to brush the oil paint over and over again. After a point, it started to give off the glossy finish that he wanted. Even a simple-looking painting is not an easy piece of work. When asked why he only paints Mt. Hallasan when Jeju has a plethora of other beautiful scenes, Chae replies that Mt Hallasan is like rice, a staple food to him, while the other sceneries are like fast food, things he would eat once in a while. Evidently, he holds special feelings for the mountain, which is also a spiritual center of Jeju. In light of the tenth anniversary of Jeju’s UNESCO designation, Chae expresses his hope for Jeju’s future. Jeju has been developing rapidly in recent years, and the balance between economic development and environmental preservation has always been a great concern. Chae comments that change is inevitable, and hopes that as Jeju changes, the city will be developed aesthetically such that buildings and infrastructure blend with nature while avoiding indiscreet development. The exhibition is open to all from July 1 to Aug. 28 at the Jeju World Natural Heritage Center, which is located near Geomun Oreum, the third element of the triad of Natural Heritage sites. A special way to experience all three sites is to first take a walk to enjoy the refreshing views of Geomun Oreum and then revel in the mystic beauty of the other two World Natural Heritage sites in the special exhibition hall. With hope, I wish that Jeju may develop in a sustainable way while preserving its unique natural environment that so many flock here for.